Survivor spoilers show Christian Hubicki may have made a tactical error last week on CBS’s Survivor. Now his closest friends and allies may turn against him. Christian Hubicki’s Mason-Dixon Alliance with Nick Wilson Done? Survivor spoilers reveal a source says Nick Wilson feels betrayed by Christian (his Mason-Dixon partner in the game) and Gabby Pascuzzi. Tonight, he will say, “those two are so smart, they’re dumb.” Last week Christian Hubicki did not tell Nick, his close David tribe ally, that fellow alliance member Carl Boudreaux was the target of a blindside that sent him to the jury. On this Wednesday’s episode of Survivor, you will see Nick confront Christian and ask why he was kept in the dark. He tells Christian Hubicki that he kept him safe a few days ago. He also reminds him that the David tribe “used three advantages to get the majority” over Goliath. Nick says he regrets saving Christian according to Survivor spoilers. Then Nick says he’s “pretty mad” that one of the David tribe members was booted from the game giving the Goliath tribe a new fighting chance to keep their members in the game. Before Carl was blindsided, the Davids held a 5-to-4 advantage over the Goliaths. Now the numbers are even. Survivor spoilers indicate Gabby Pascuzzi, Christian’s closet ally on Survivor, wants to vote him out. She was in on the Carl blindside but thinks Christian Hubicki is a huge threat. She says she wants to see him go. Many fans think Gabby has been riding Christian’s coattails. He saved her from past evictions and now it appears she wants to turn on him. Christian stuck his neck out for her on several occasions when she had emotional breakdowns making other members not trust her. The Goliath tribe has wanted Christian Hubicki out of the game for the past few episodes. They think he is charismatic, smart, and a competition threat. Now it appears the David tribe wants him off the island also. It’s safe to say that Christian’s Survivor game is in jeopardy. 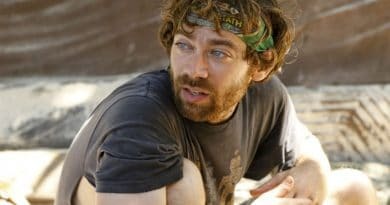 Survivor spoilers hint that Christian Hubicki could keep himself safe by playing his hidden immunity idol. However, all his allies from the original David tribe (Gabby, Nick, and Davie) know Christian has an idol. There are enough people against Christian to split the vote. A split vote would either vote him out or flush his idol. However, if Christian doesn’t go home then that means that someone plotting against will be the one evicted. 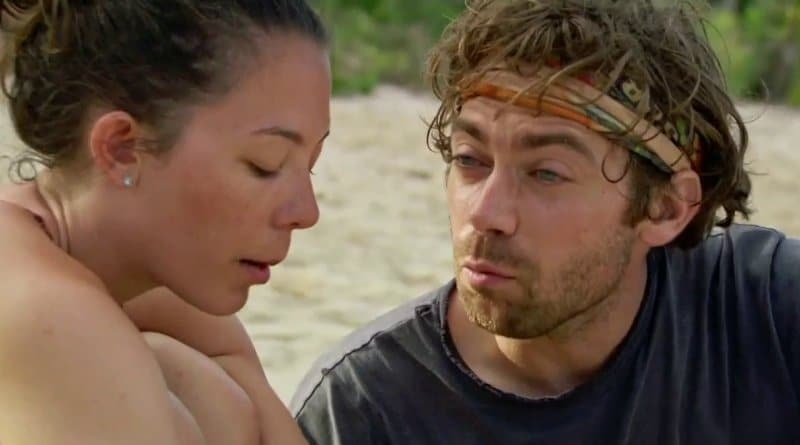 Without Christian, Gabby has no strong allies and would the logical one for the Survivor players to cast votes for as a back-up in case the idol is played. Survivor spoilers hint that Gabby may be the one leaving the island if Christian plays his immunity idol. Come back to Soap Dirt for many more CBS Survivor spoilers, news and leaks.